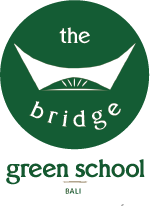 The Bridge @ Green School sits under the non-profit Green School entity. It is a self-funding social innovation project where a percentage of profits are provided back to the School and the Green Projects program which provides micro loans and funding for hundreds of sustainable and environmental projects happening each year at the campus. We are supported by membership fees (which we are proud to say are the cheapest of any coworking space on the island) and support from partners who are aligned with the mission and vision of The Bridge. We thank you for your support and being part of a project working to make the world a better place.